Calling all students! We’re excited to partner with The Rookies Awards to help recent CG graduates showcase their skills and get their careers started. The Rookies is an International Award for young designers, creators, innovators, and artists, created to discover and showcase the outstanding talent emerging from higher education facilities and help launch them into careers at the world’s top studios. There are 11 official categories for 2016 and Sketchfab is proud to be sponsoring three categories: VFX & Animation, Next Gen Gaming and Virtual Reality. The prizes are outstanding, with the chance to win 19 fully paid internships around the world at stellar companies ranging from Gameloft, Animal Logic, Dreamworks, The Mill and Framestore. Here’s some helpful tips to get you started. What are you waiting for? 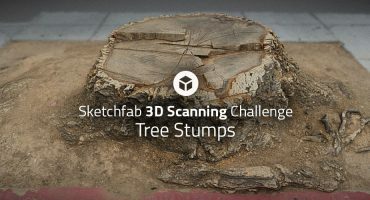 Create your profile, and share your entry on Sketchfab with the tag #TheRookiesCO! We can’t wait to see the best student work out there! 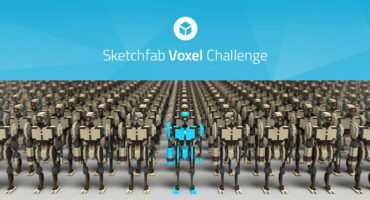 Sketchfab Voxel Challenge: The Robots are Coming! Sketchfast #9: Design your own world cup trophy!